ICEFA brings together world-class researchers, users, and specialists involved in all aspects of failure analysis and prevention from the mechanical, manufacturing, aeronautical, civil, chemical, corrosion, and design engineering fields. 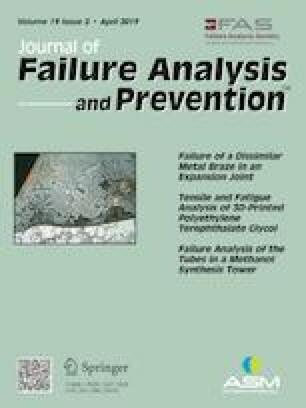 Topics include failure modes for metallic and nonmetallic engineering materials, case studies, and the role of condition monitoring and nondestructive testing in failure avoidance. Attendance at this conference will enable you to appreciate the state of the art in engineering failure analysis and prevention, anticipate future directions, and network with an interdisciplinary group. Contact: Elsevier Conferences Support Center, e-mail: https://service.elsevier.com/app/contact/supporthub/conferences2018/, web: https://www.elsevier.com/events/conferences/international-conference-on-engineering-failure-analysis. To submit an event for the calendar, contact Vincent Katona, ASM International, 9639 Kinsman Road, Materials Park, OH 44073; tel: 440/338-5432; e-mail: vince.katona@asminternational.org.